This is the 1979 film not the original 1930’s film, but as last week was the anniversdary of events leading to the largest slaughter in history I watched it, and found it was a good film (certainly as it was free!). Most people will know the overall plot and tenor of the book and therefore the films. It made a good viewing and lead up to the disillusionment of the actual war experience. 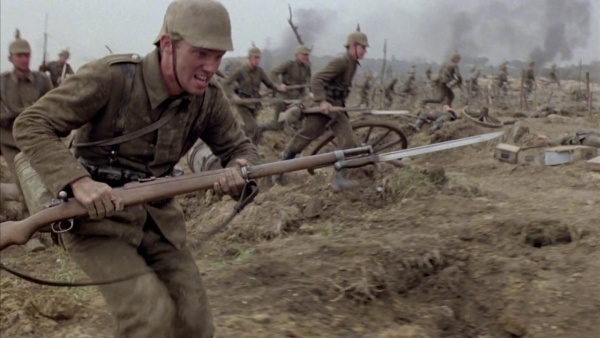 Interestingly, the film is set during the period the Germans were changing from the picklhaube (spiked) hemet that had proved pretty useless, and moving to the new more familiar coal scuttle or Stahlheim M1916 helmet. One scene in particular highlights the changing nature of war as the front line unit meets their reinforcemnents. the front line units have the pickelhaube, the new recruits the stahlheim.A quick search on the net and I found this was a common case – the Germans despite starting to investigate steel helemts for their troops first, were the last to actually deploy them with the British Brodie, and French Adrian pattern helmets reaching their armies beforehand. 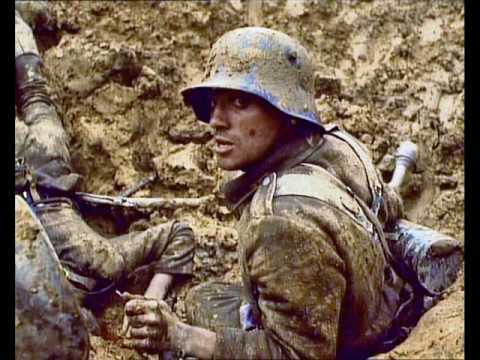 I often comment that as wargamers, we are not celebrating war at all – more often than not having lovingly built, based, researched and painted our favoiurite units we plonk them on the table, and ourt opponents proceed to get lucky and slaughter them in seconds.Its a very sobering experience to think that in real life and commanders and generals often do exactly the same, only its flesh and blood being killed not chuncks of metal/plastic/resin.